The name may be whimsical, but Dirt Devil vacuums are a very recognizable brand now and bring to mind extreme affordability for a lot of consumers. Although the actual 'Dirt Devil' name did not come on the scene until 1984, its parent company, Royal, was manufacturing and selling vacuum cleaners since the early twentieth century. Read consumer reviews written by other visitors to this site, or submit your own. 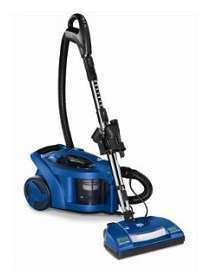 What ultimately became known as the Royal Vacuum Cleaner Company started in 1905 when company founder, P.A. Geier, began assembling household appliances in a garage behind his Cleveland, Ohio home. During World War II, the P.A. Geier joined the legions of other US companies and suspended production of its regular line to support the war effort. In 1953 the Walter E. Schott investment group purchased P.A. Geier and changed the name of the entire product line to Royal. The Royal Dirt Devil, a corded handheld vacuum cleaner was an instant hit. Eventually the Royal name was dropped completely, and the world embraced the Dirt Devil with open arms. Over the years, the Dirt Devil line expanded to include a stick vacuum, a line of bagged and bagless upright vacuums, carpet shampooers and extractors. Today, the Dirt Devil brand name and the distinctive red color can be found on floor care products of all kinds, including machines specifically designed for pet owners who are look for something to keep pet hair and pet dander under control. Dirt Devil household cleaning products have been innovative and trendsetting. 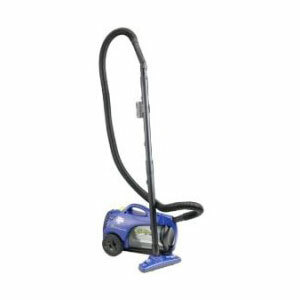 Today, Dirt Devil vacuums provide an option at the very bottom of the price range barrel, with some models keeping quality at a high enough level to justify the purchase. Their designer line raised the bar when it comes to vacuum cleaner design and aesthetics on the cheaper end, while the exclusive AccuCharge technology assures everyone who buys one of these vacuum cleaners that they are not only purchasing an ecologically sound machine that requires less energy, they are also acquiring one of the longest lasting cordless vacuums available. 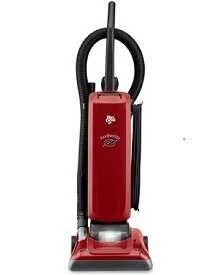 Cleaning your floors with a Dirt Devil upright vacuum cleaner is efficient and fast. The many on board attachments are designed to help you get rid of dust, dirt and pet hair on your floors, carpets, rugs and furniture faster than you thought possible. With a Dirt Devil canister vacuum those hard to reach places are not just each to get to, they are so easy to reach that cleaning them will be more of a pleasure than a chore. Best of all, you can clean your carpets, rugs and hardwood floors without having to stop to change attachments. The entire line of lightweight Dirt Devil stick and boom vacuum cleaners are primarily designed for cleaning those difficult to reach out of the way spaces that a larger vacuum cleaner cannot easily get to and hard floor surfaces. 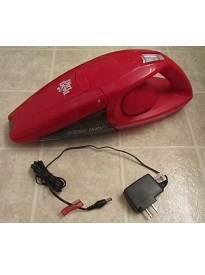 DD handheld vacuum cleaners set the standard for portable vacuum cleaning. These powerful little are the perfect solutions for quick clean ups on all types of surfaces. Handheld vacuum cleaners are not only ideal for cleaning up those small messes around the house, they are also great for cleaning upholstered furniture and drapery. Dirt Devil has done a fantastic job in improving the quality of their vacuums in the last 25 years. They've also become much more known thanks to creative and innovative marketing. Dirt Devil doesn't really aim at the very high end market where Dyson and Miele rule, that's why their vacuums combine the most useful and user friendly features for a good price creating excellent value. Consumer reviews have been proving that now for many years. Most models are lightweight and easy to maneuver. Adjustable power level on some models. Most vacuums don't have HEPA filtration. Each model usually works well only on one type of surface: carpeting or hard flooring. 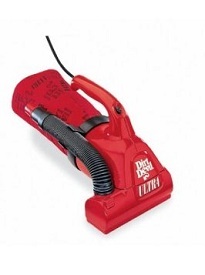 Consumers give high marks to some Dirt Devil models like the Breeze canister and the Featherlite bagged vacuum - where both get on average 4 out 5 stars based on over 200 ratings. That means that Dirt Devil has designed the perfect vacuum for the majority of home users. One of the more affordable brands that does well with pet hair. Most vacuums are quite loud. The cleaning path is not that wide so they're not suitable for large apartments and homes. See just below for a list of Dirt Devil consumer reviews left by visitors to this page, or leave your own. Dirt Devil, under TTI Floor Care North America, now enjoys a much better brand name awareness because of their success with hand held, upright and canister vacuum cleaners. 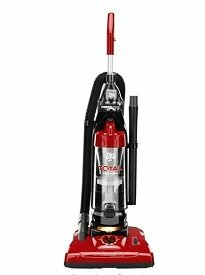 Most of their models provide excellent value for money and we invite you to check the Dirt Devil vacuum reviews on VacuumWizard.com for more detailed overview of what they're capable of. Have you had a Dirt Devil vacuum cleaner? Share your experience with it–your thoughts, frustrations, satisfactions, and more–below and we will publish it on this page for other visitors to benefit from.